Having a network problem or need installation? Our team of professional technicians are available to help. 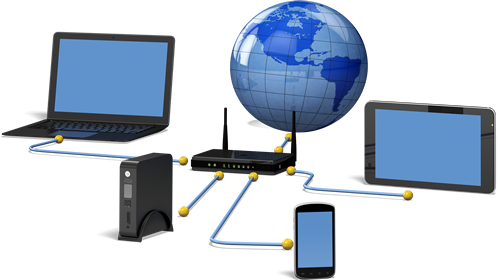 Did you know that 9 times out of 10 your network is fine and the cause can be traced to a local device or ISP. But let’s check and know for sure! Do you need a network installed? We can do this via cables or wireless. Or are you here for a repair? Did you know that the network gets blamed for slowdowns or problems connecting to websites? Most of the time its the server being contacted or the requesting device that is causing the slowdown. We can help determine where the problem is. If your office is running more than 5 computers its advisable to install a domain. They are more secure and make connections to computers and devices easier to manage. More and more people are working from home. The way these companies allow access to their networks are more than likely through a VPN (Virtual Private Network). Contact us if you’re having trouble connecting. It’s a network thing. We can help.